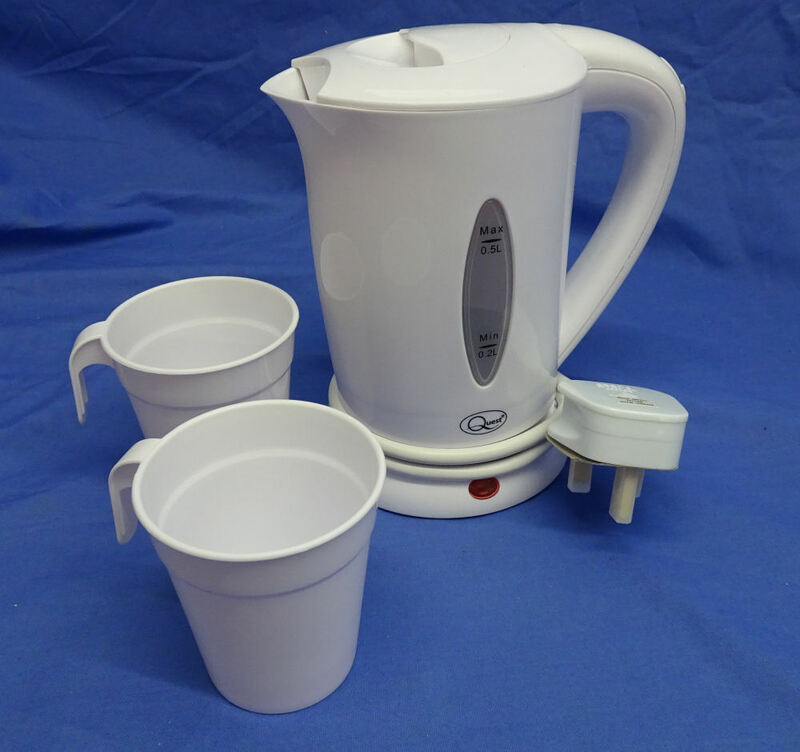 Low power (600 watts) cordless electric jug kettle. Requires only 4.5 amps of 220 / 240 volts mains electricity supply. 0.5 litre (about 0.8 pint) capacity with an auto switch off. Height (including base unit) 165 mm. Depth (including spout and handle) 160 mm.